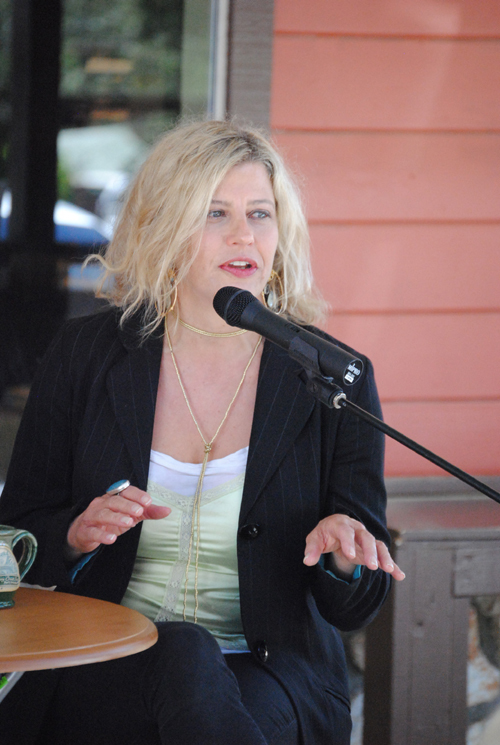 Jazz in the Pines, Art Alliance of Idyllwild, Idyllwild Arts and other arts and entertainment, theatre, live music and visual arts coverage. 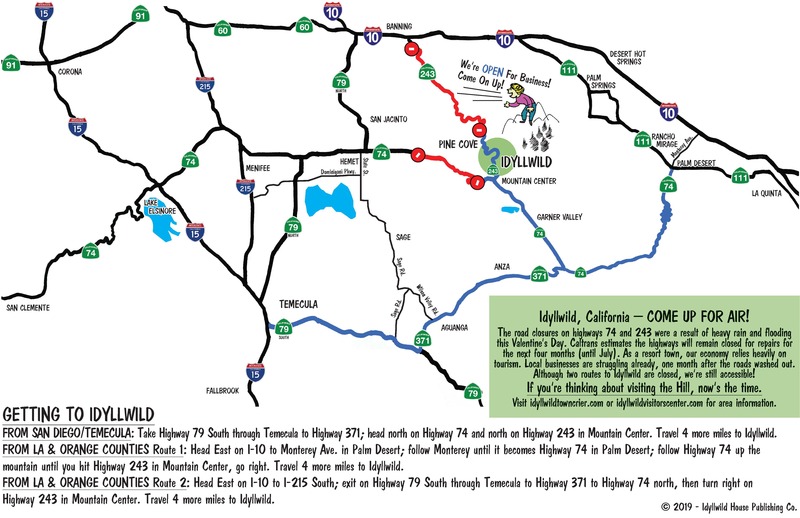 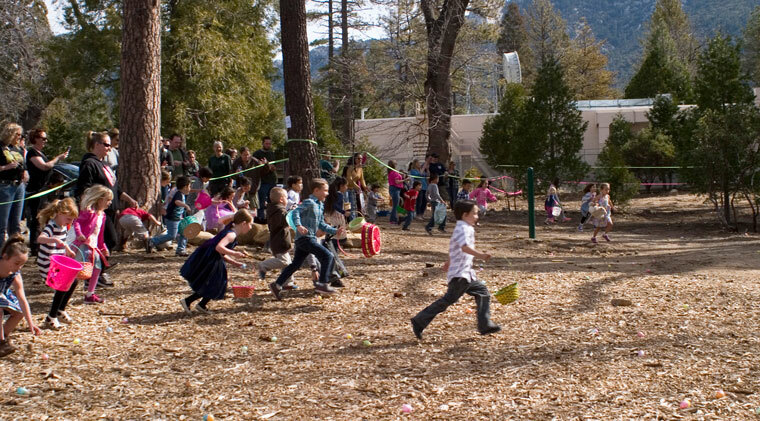 The most comprehensive arts and entertainment calendar covering the Idyllwild area. 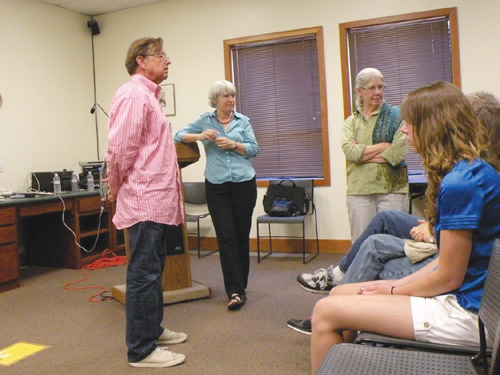 Rachel Resnick, author of “Love Junkie,” discusses her book with the audience at B’s Mountain of Books during the last session of the Idyllwild Authors Series. 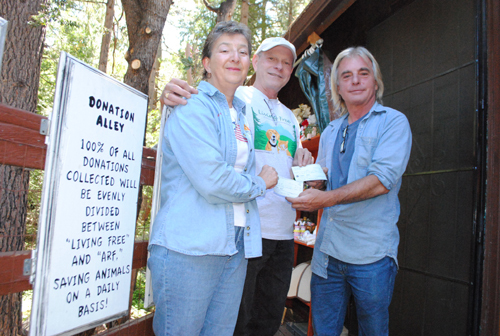 Peter Buhl, right, owner of the Funky Bazaar, presents $150 checks to Mary Lou Prosin, Animal Rescue Friends of Idyllwild (ARF), and Clay Helgren of Living Free Animal Sanctuary. 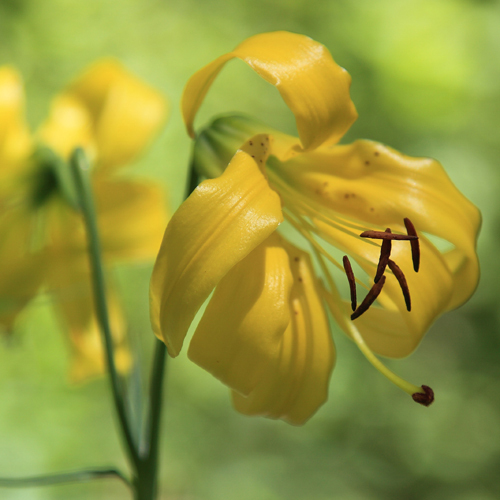 During last weekend's Lemon Lily Festival, a lemon lily bloomed along Strawberry Creek. 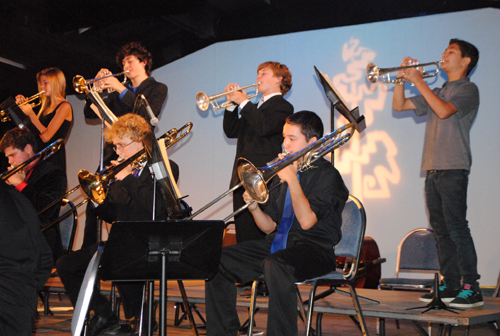 The brass section in one of the four big bands and eight jazz combos that performed at the Student Jazz Concert takes center stage. 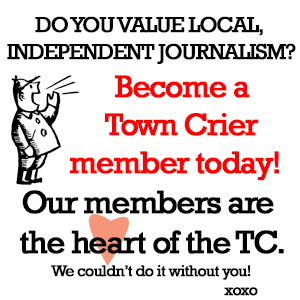 Relive the parade or find out what you missed. 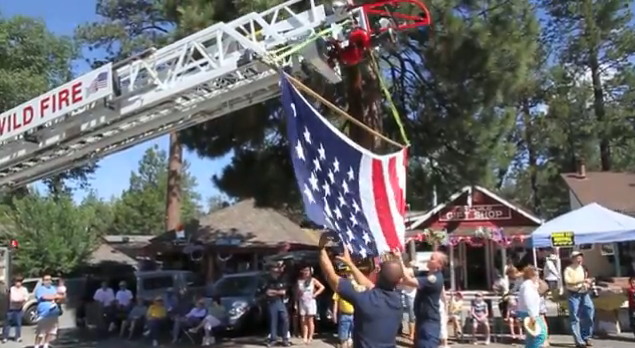 Watch highlights from this year's Idyllwild Fourth of July parade. 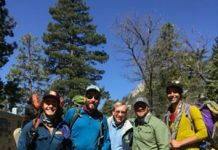 The community of Idyllwild and Festival organizers welcome you to Idyllwild’s 2nd-annual Lemon Lily Festival. 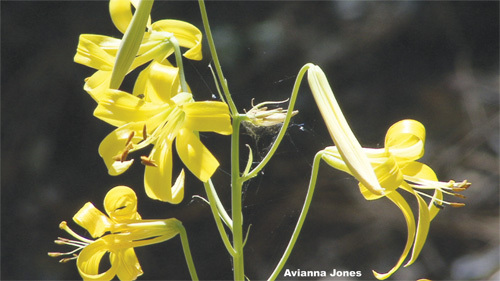 The 2010 Festival was a huge success and a first step in accomplishing the three ongoing goals of our mission: celebration, education and restoration of our precious native wildflower, the Lemon Lily (Lilium parryi).